Producing the miracle of life can often be a difficult task when you’re dealing with animals. Making sure that the mating between two animals goes correctly is a long process, one that involves knowing whether the male can successfully penetrate the female, given their sizes. But perhaps the hardest part of getting a male dog to mate with a female is simply enticing him to do so. 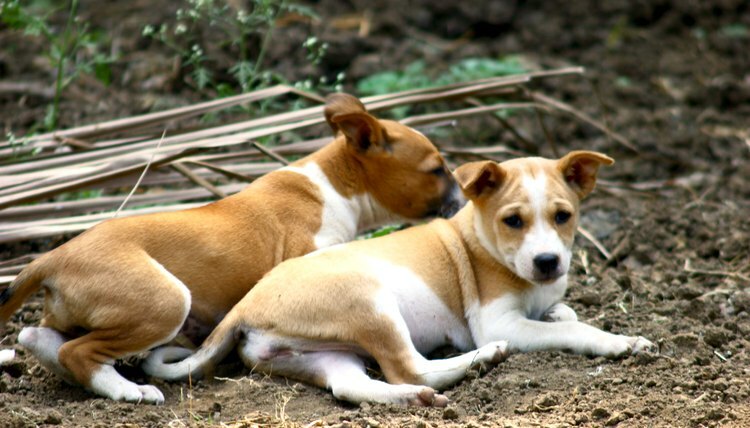 However, you can encourage your dog to mate by using a few tips that dog breeders have used successfully in the past. Keep the dog from eating the day he will mate. When a dog has a full stomach, he may not feel up to the task of breeding. Muzzle the female dog to keep her from biting or snapping at the male dog. Reassure the female by talking gently and petting her if she gets nervous. The male dog will be more inclined to mount her knowing that he will not be hurt in the process. Allow the dogs some time to get to know each other. When the male dog’s tail begins to shake, he will most likely be aroused. Give the dogs some privacy. Place them in a garage, shed or basement and let them feel like they are alone. You can still watch over things to make sure that the dogs know what they’re doing, but watch as far away from them as possible. Exercise patience with the male dog. Let him try it his way first, but if he fails to penetrate the female, you may need to help. For instance, you may need to prop up the male or female depending on their size to allow for penetration. Or you might have to help the male find the correct entry point in the female if he is inexperienced in the process. If the mating does not go well the first day, you can always try again later.